Last weekend was a long one here in the US, and instead of going camping like we usually do, we stayed home, and despite the crazy heat wave, tried to work our way through the unrealistic to-do list I wrote. There just seems to be too much to do, and too little time. All these new projects take much, much longer than anticipated, and we find ourselves spending most of our time working on one house thing or another, in between a few runs to the hardware store. As I was cleaning to guest bedroom in preparation for house guests this week, I found an empty spider sack, and made the mistake to look up how many spiders eggs are in a sack. In case you ever find one in your house, and you don't know the answer already, I'm just going to tell you now, sometimes knowledge is over rated. I panicked, started vacuuming everywhere frantically, and felt a little better after catching a few small ones. After researching online how to get rid of spiders, I decided to attack the basement, which we hadn't dealt with much since moving in. It's mostly unfinished, and we had just been storing a bunch of stuff that didn't make the initial unpacking round. I started vacuuming and quickly realized that the walls weren't dirty as I thought but instead covered in cobweb. After about 10 spiders, I asked for Graham's help, and I think that we caught at least 45. I'm not entirely sure if it makes me feel better or not. I do need to train Noodle to chase them though. Last spring, he was over at our friends house and killed a giant house spider in their basement (again, if you don't know how big they actually are, maybe don't look it up). I'm not sure why he won't go after the little ones, but hopefully he'll learn. In the mean time, I'm keeping the vacuum handy, and making Graham empty it. Oh ya, did I mention that I'm afraid of spiders? While in the basement, we found an old oil painting, which actually looks pretty good, and it might end up over our fireplace if we can find the right frame. 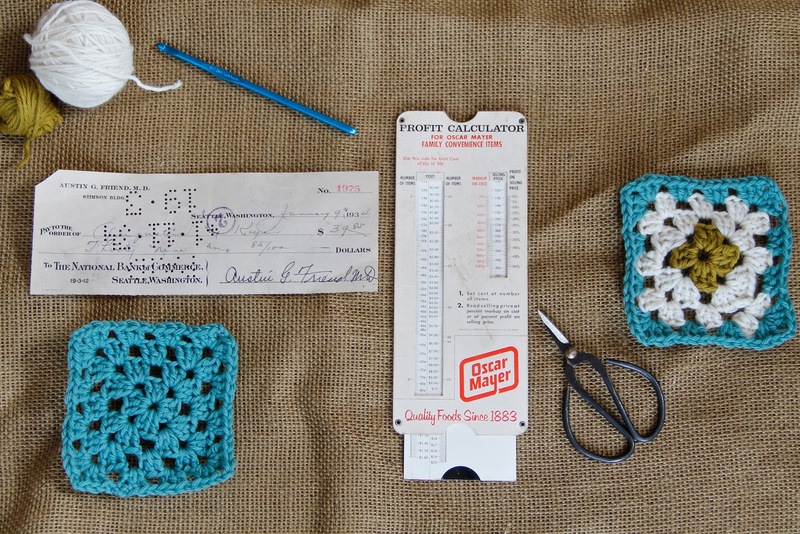 We have slowly been accumulating cool little things, an accounting book from the 1930s, old handwritten checks, and a handy profit calculator for grocery items. Not sure about profit, but sale prices sure have gone up. 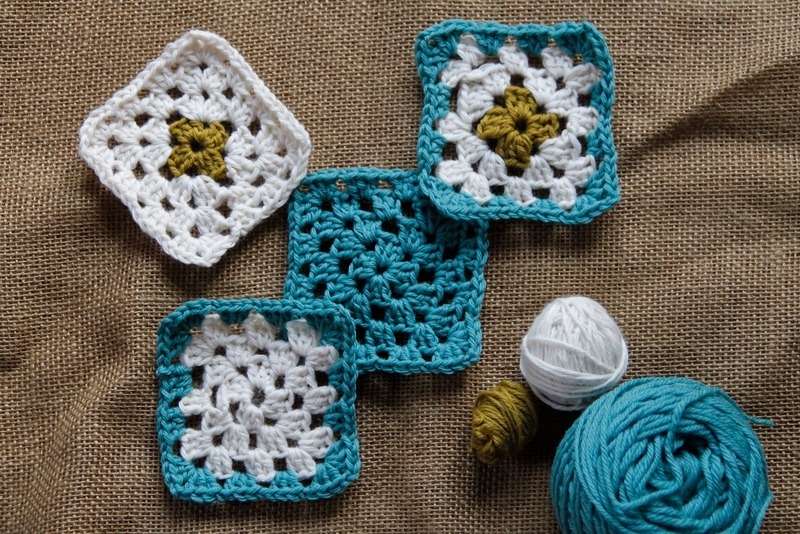 Maybe it's moving into this old house, finding all these things, or maybe seeing all these awesome granny squares popping up in my social media, but I've been wanting to make a granny square blanket for some time. 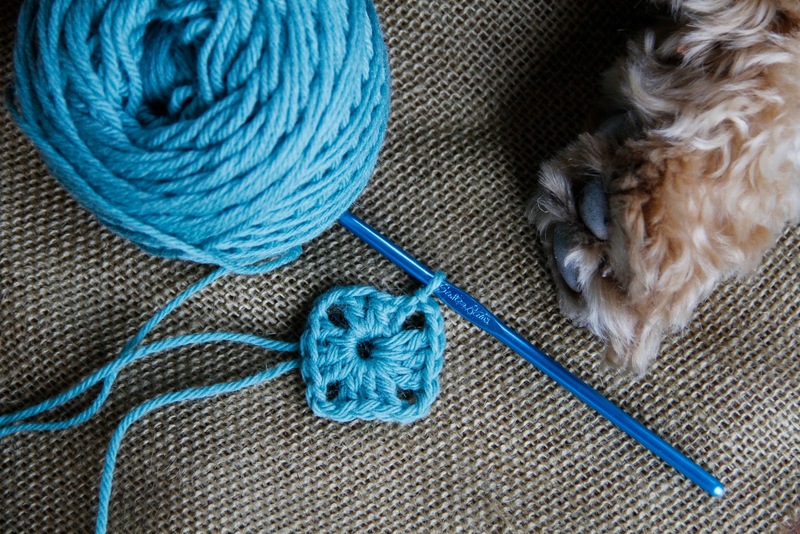 I've never really took up crochet, and feel pretty novice at it. I tried a few You Tube videos without much success, until I found this one. Initially I was a bit reluctant to watch it, mostly because the video is almost an hour long. But turns out, it was the way to learn for me. It took me a few tries, and definitely feels like it took longer to get it than it should have. 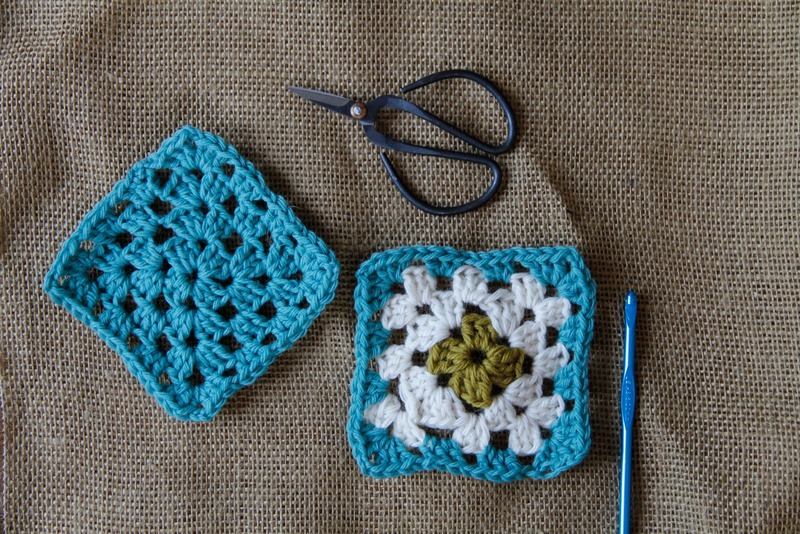 But now that I've finished my 4th square, I feel like there will be a blanket in my future. I'm probably... only 56 more squares away?